We are successfully meeting the varied requirements of our clients by providing the best quality range of Rotary Dryers. 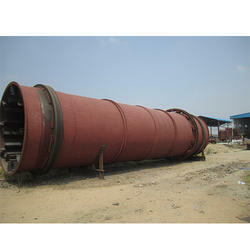 - It is used use to reduce or minimize the liquid moisture content of the material. - Made up of a large, rotating cylindrical tube, usually supported by concrete columns or steel beams. The Rotary Dryer offered by us is a type of industrial dryer employed to reduce or minimize the liquid moisture content of the material it is handling by bringing it into direct contact with a heated gas. The rotary dryer is made up of a large, rotating cylindrical tube, usually supported by concrete columns or steel beams. 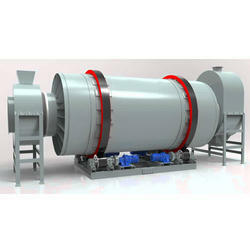 Being a well-established organization, we are engaged in offering a distinguished range of Rotary Drum Dryer.